So this Thursday evening MAC held their first blogger event and I felt a bit spesh because I somehow managed to get an invite. 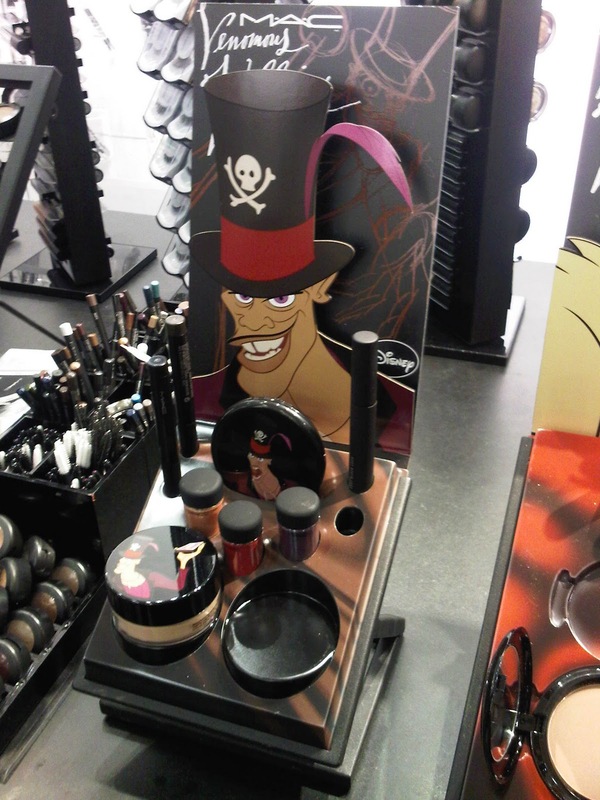 Held in their Kensington store to preview their new Venomous Villians collection, I was intrigued to see how my favourite Disney characters (there’s got to be something in that when your faves are the baddies) had been transformed into makeup. So after a wait outside in the cold (building the excitement MAC?) we were eventually let in to be greeted by raspberry cocktails, cupcakes and the transformation of a model from girl-about-town into evil Cruella DeVil. 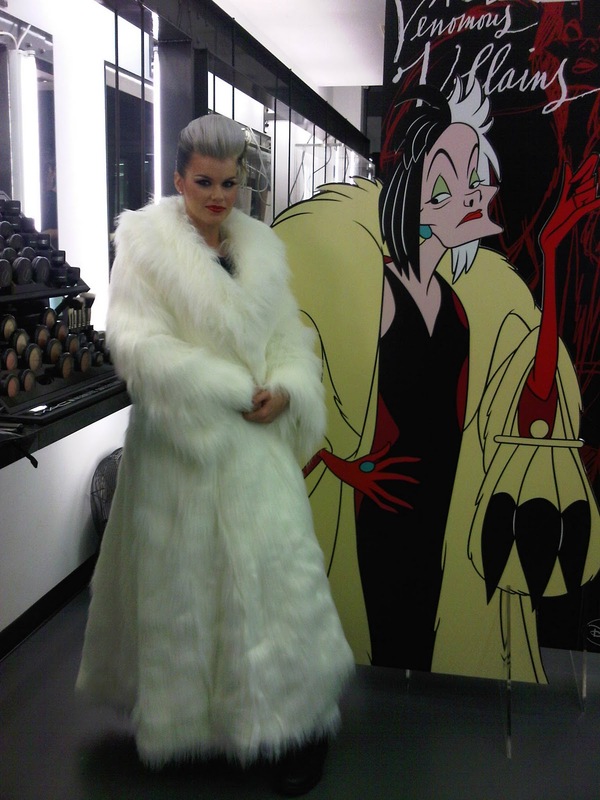 The makeup artist made this transformation look so easy – I only wish I had 10% of her skills – and blended her life away to create this fab look with the products within the Cruella collection. She even donned a fur coat post-makeover just in case we needed any more convincing of her evil status. Now this was all well and good, but having never used a MAC product in my life (the shame) I wanted to know about the shizzle. What was good? What products should I use? Where did the idea come from? Why villians? When was it available? Blasted if I know. 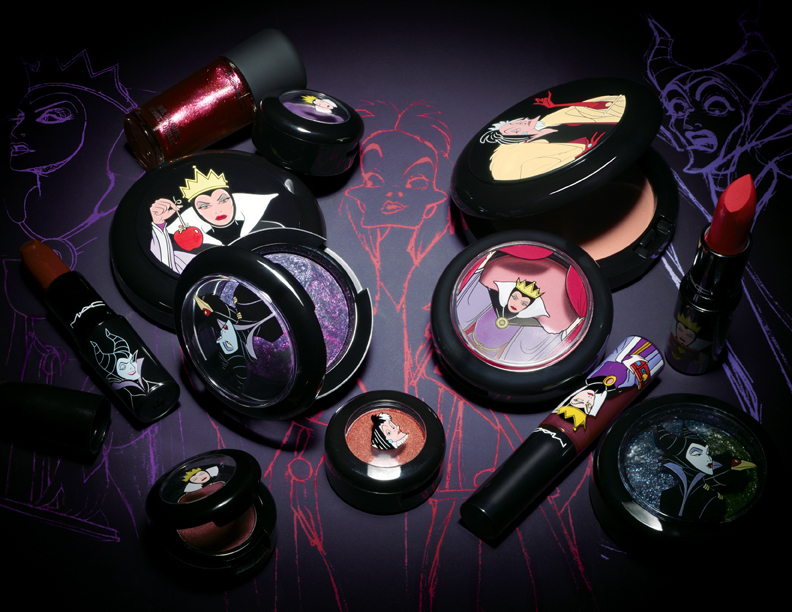 We were quickly shimmied up the stairs to all huddle around a very small display of the product – baring in mind there were about 30 of us that’s like throwing food down to starving children. Well, in superficial makeup terms. 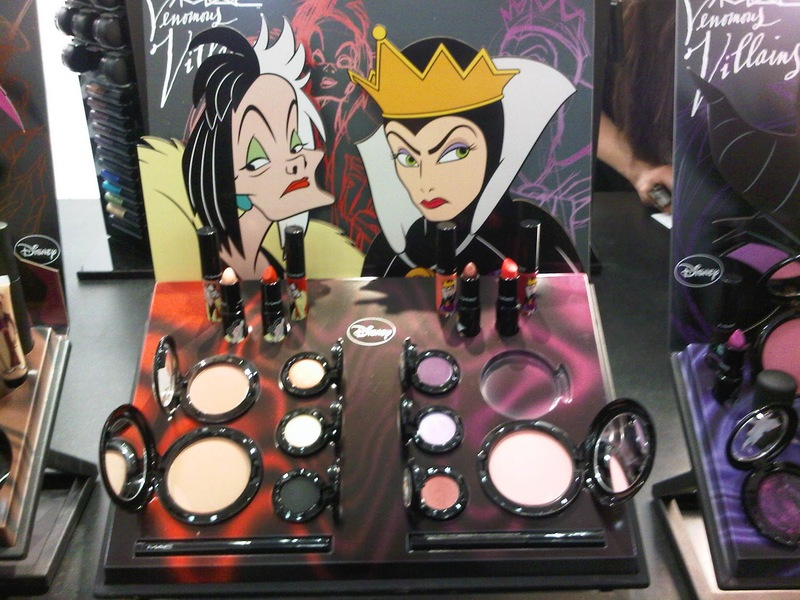 It looks very pretty and the collection will no-doubt be a sell out, but I know about as much information as you. 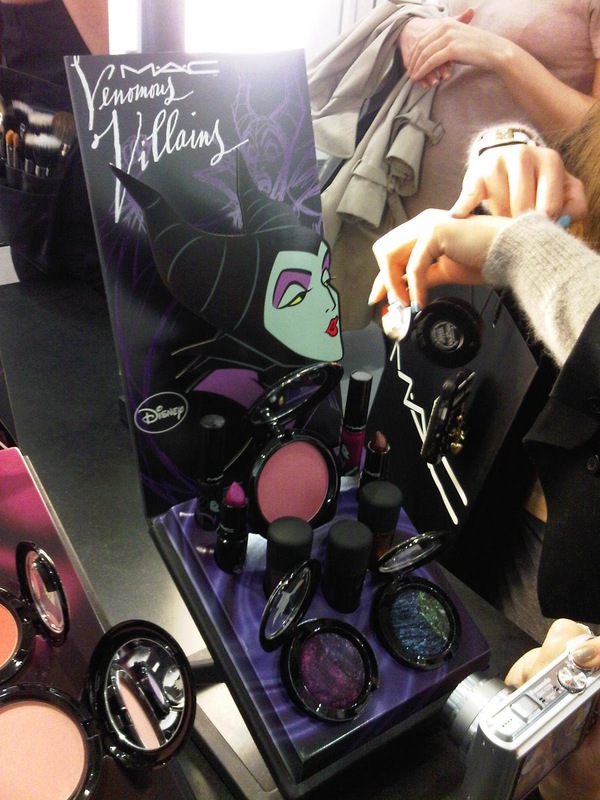 I did manage to (very briefly) get my hands on some green sparkly eyeshadow from the Maleficent collection and the pay-off was incredible. It really sparkled and created a dramatic look on the eye so this would be my pick of the bunch. The two-tone nail varnishes also looked pretty fab on a girl I got chatted to – she’d managed to scrum her way and test them out. I love Disney and I love this idea, but I would have also liked information on the range so I could pass it on to you guys. Sorry – you’ll have to make-do with these pics. I really wish I could've played with the make up more. I shouldn't complain as I did get a makeover (that might have been so I could sit down 😉 ). It was so busy though, a couple more displays would have been very handy. You know what, I didn't even realise you could buy any of the VV items on the night either. I am a muppet!